Thought it was about time I posted another layout on here as I've been a class one slacker recently! I meant to make an appearance yesterday but decided to give myself the day off as it was my Birthday..........any excuse I know! This page has been lying around for a few months (hangs head in shame!) just waiting for it's debut. I love the photograph......fond memories of a visit from my parents last Summer. I can imagine as we speak, my Mom and Dad are testing their brains thinking "where was that photograph taken".......hehe I think I'll leave them in suspense for a little while and test them later! The papers are a really nice Fall collection from last year by Authentique. I've veered away from a fair few of their recent collections as I got a little tired with the designs, but I was reminded when creating this page how consistently awesome the quality is. 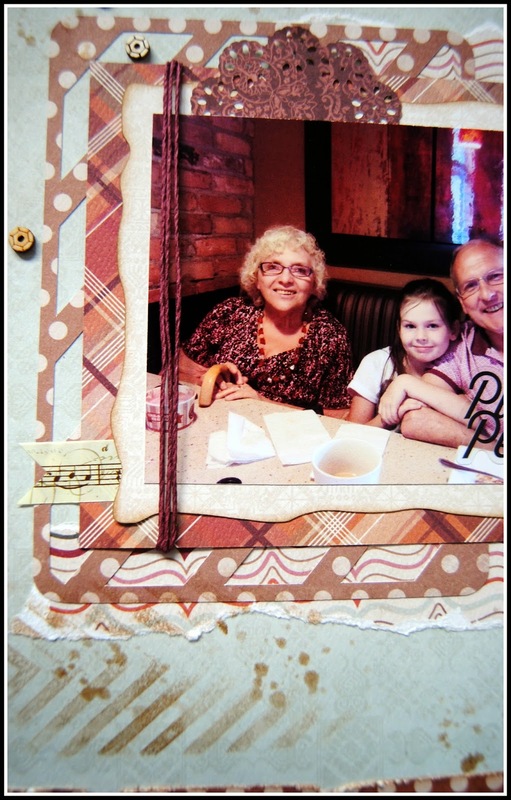 The background consists of stamping and ink stains, and lots of layers around the photograph too. More layers on the opposite side and a sweet little cluster of embellies. 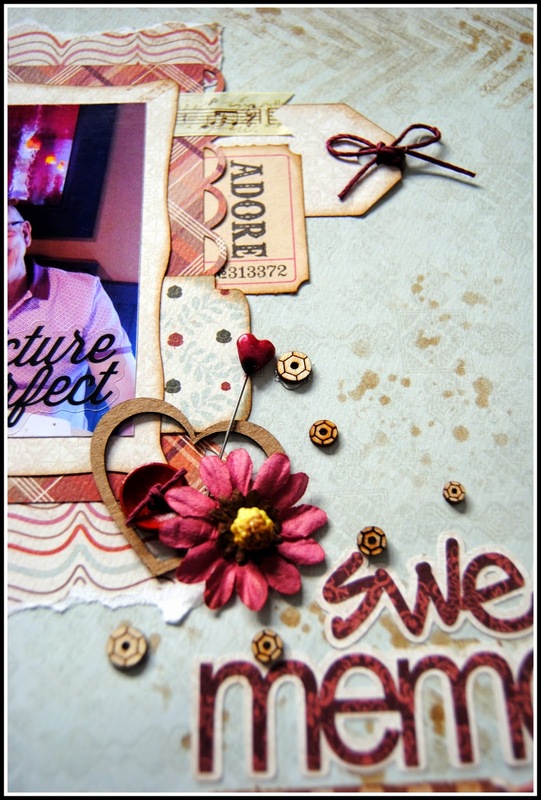 This weeks happens to be my turn for a layout over on the Scrapmuch? blog so I'll definitely be back Friday. Such a great page Jayne!! Jayne, I love your choice of layout and papers. 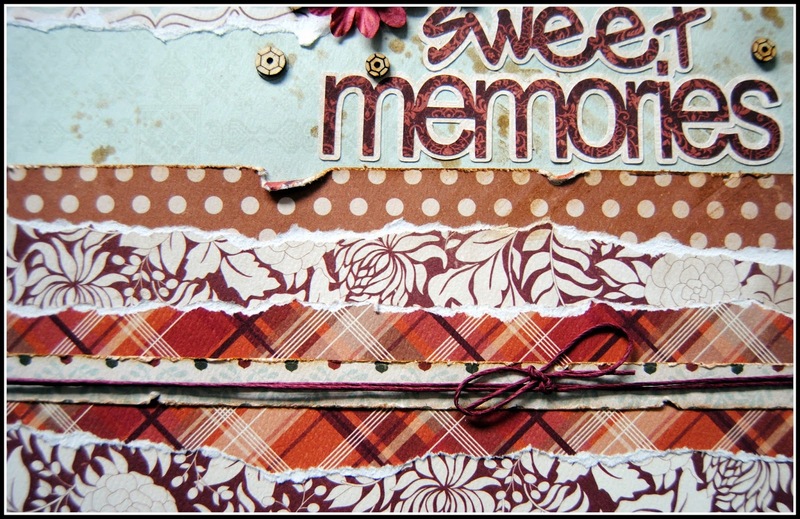 The many layers add the depth and dimension that makes this page so special. Of course the photo of your parents is wonderful! Well you are correct. We have no idea where we were, only that we know food was involved. The musical notes I think are put there to confuse us. this is one to ponder on!!!!! lol mom and dad l h + k always.